When business owners embark on the design process, they may commission a logo, but what they’re really seeking is a brand. Because the brand—not the logo—is what consumers will interact and fall in love with and the reason they’ll stick around. One irony of design—the role of which is to make everyday experiences easier and more intuitive—is the lack of clarity in terminology. Design-speak can get fuzzy. 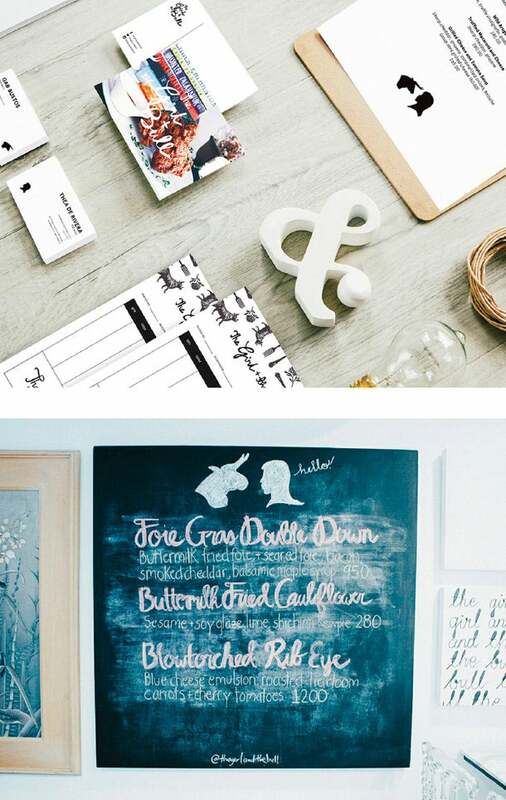 So what exactly does it mean for a business to commission a logo, brand or brand identity? A logo is the mark that makes a company identifiable, much as names give people a place in the world. A brand is a company’s purpose, visualized; it is the heart and soul of the business, encapsulating its truth in a desirable way. A brand identity is the expression of a business and can be flexible and evolutionary, changing as the company grows. The strongest brands are built by leaders who go beyond a logo; they utilize the full breadth of design thinking to add flesh to a business, transforming it into something that comes to life. To help illustrate the point, here are five examples of organizations big and small that have used design to go beyond a great mark to create truly robust brands. This community co-op in London was inspired in part by Brooklyn’s Park Slope Food Coop—but didn’t adopt its crunchy aesthetic. 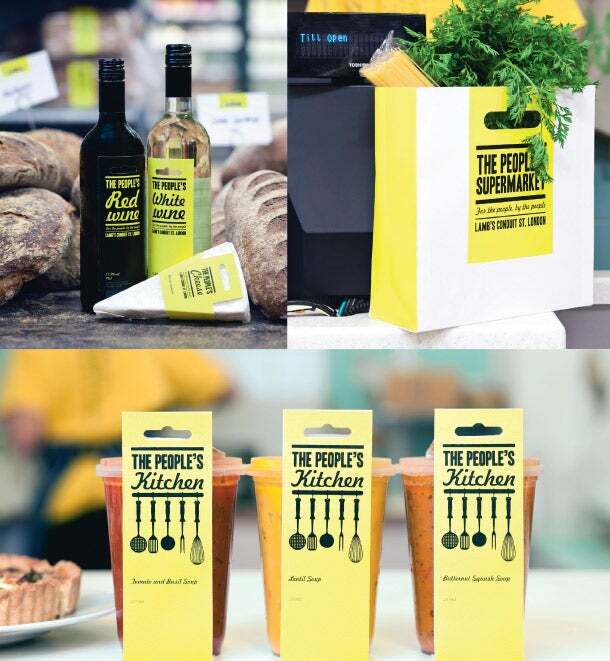 Instead, the branding for The People’s Supermarket, created by London-based Unreal, showcases the market’s democratic and communal nature. The brand’s tagline, “For the people, by the people,” is emphasized by an approachable sunny-yellow palette that extends across products, marketing materials and offshoot brands like The People’s Kitchen and The People’s Cafe. And the most clever part? Above the word mark is an intentional design tool: a shape reminiscent of the punched-out hole that allows retailers to hang packaged goods, representing the modesty and democracy of a common marketplace. All told, Unreal produced a brand identity for The People’s Supermarket that is bold, impactful and enticing, creating a desirable expression for the responsibly sourced food movement. Designers often hear that they should “make the logo bigger,” but the best brands display subtlety. 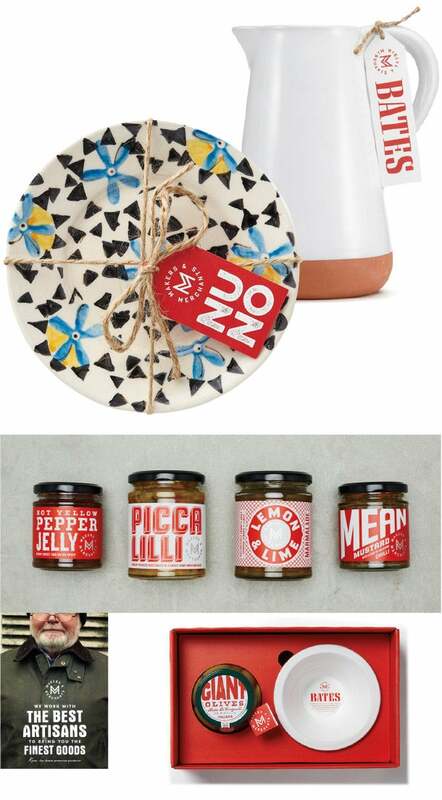 U.K.-based Makers & Merchants creates a range of food and home goods made in partnership with artisans around the world. The challenge for branding such a project is in how to unify numerous products in a cohesive way, without losing the integrity and uniqueness of each crafted item. To address this challenge, London-based Horse Studio created a branding portfolio that explores multiple patterns, textures and styles, all unified by a strict red palette. This allows the brand to take on bits and pieces of the heritage or inspiration behind each product without stepping outside the bounds of the portfolio, proving that ranges don’t necessarily need to “brand block”—a design tactic for creating shelf impact using graphics that appear to travel from pack to pack—to be noticed. And that “make the logo bigger” nonsense? Makers & Merchants’ modest mark is discreetly placed on each item in a manner that’s organic and unobtrusive. For what started as a small family business in Brooklyn, Mast Brothers Chocolate has built an incredibly strong brand. No frilly, indulgent candy bars here—Rick and Michael Mast take their chocolate seriously. The logo is spare and simple; the copy that surrounds the brand speaks to the science, sourcing and craft behind the products; and the packaging makes each chocolate bar into a work of art. Each pattern is unique to the flavor of the bar around which it’s wrapped, discreetly referencing the chocolate’s creation. For example, a bar made in conjunction with Stumptown Coffee a few years back was adorned with a pattern of bicycles as a tribute to the bike-loving culture shared by Brooklyn and Stumptown’s base in Portland, Ore. The duo’s new collaboration features vintage motorcycles, another cultural commonality. To add even more authenticity to an already earnest brand, the packaging is also invisibly tied to family heritage, as family members, friends and staff design many of the beautiful patterns. All great companies must grow, but Mast Brothers has smartly retained its brand throughout expansion. 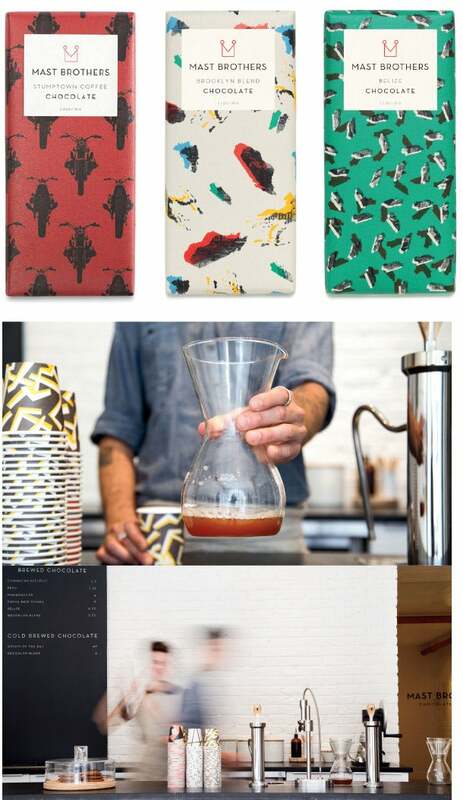 Its new Brooklyn “brew bar,” for example, “dedicated to the craft of brewed chocolate beverages,” incorporates beloved Mast Brothers patterns on cups and packaging that pleasantly offset the space’s otherwise spare aesthetic. Creating a brand for a major city is no easy task, especially one as culturally and politically diverse as Melbourne, Australia. Local agency Landor devised a design system for the City of Melbourne Council that’s a great example of the “head, heart and soul” approach to branding. An edgy “M” changes color and pattern for each city initiative, government entity or program, and the geometric style that roots these patterns extends beyond the logo as a secondary language on signage, collateral and advertisements. By creating a flexible system that is both recognizable and malleable enough to encompass a wide range of needs, the brand can evolve as the city evolves around it. The system in its entirety acts as both a guide to visitors and a reminder to residents that Melbourne is unified and a lively place to live. In its breadth, the branding for Melbourne portrays the city as vibrant, modern and progressive. A great restaurant shouldn’t need incredible design to help it shine; its food should do the shining for it. That said, when a business combines great food and great design, it’s a place worth spending time. The Girl + The Bull is a restaurant in Parañaque City, Philippines, whose branding, created by Manila-based Serious Studio, reflects not only the warmth of the cooking but the connection between chefs and their ingredients. Silhouettes of a girl and a bull face off on stationery and menus, reminding consumers of the provenance of their food and the talented people who make it. Classical etching brings a homey feel to the brand’s illustrations, and photography brings the brand collateral to life. As an added touch, the restaurant’s website incorporates tiny bits of film, creating a moving quality that makes viewers feel as if they’re sitting in a friend’s kitchen. The warmth of the brand and the caliber of the food are a winning combination. These companies showcase the power of a great brand idea richly expressed through strategic design thinking. So, the next time you consider commissioning a logo, remember that it is actually a well-executed brand that brings your business’s personality to life and drives an emotional connection with your consumers.